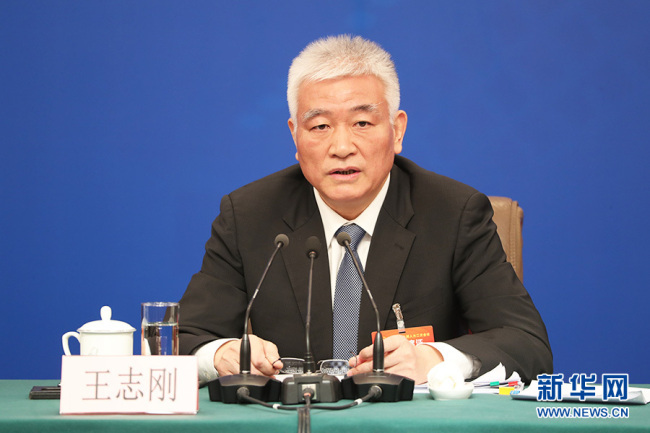 Wang said China still has a couple of issues need to be addressed before stepping into the rank of innovative countries by the end of 2020 as planned. For example, China's basic research investment has been hovering at 5% for a long time. Wang said however that the country has managed to gain good momentum over the years. He said many enterprises in China, especially those high-technology enterprises, have begun to focus on basic research. And the proportion of basic research investment has been improving. The Minister also said China will rely more on scientific and technical personnel, and he promised that the Ministry of Science and Technology will provide technical support, a conducive research environment, and guarantee for scientists to clear up barriers for them.